On Sunday 7th October I was up bright and very early to get to the car park in Kingston for 6am!! A bargain price of £5 for the whole day, (until 10pm). I really wasn’t feeling the running love that morning but as I had been given the place I felt I had to do it!! 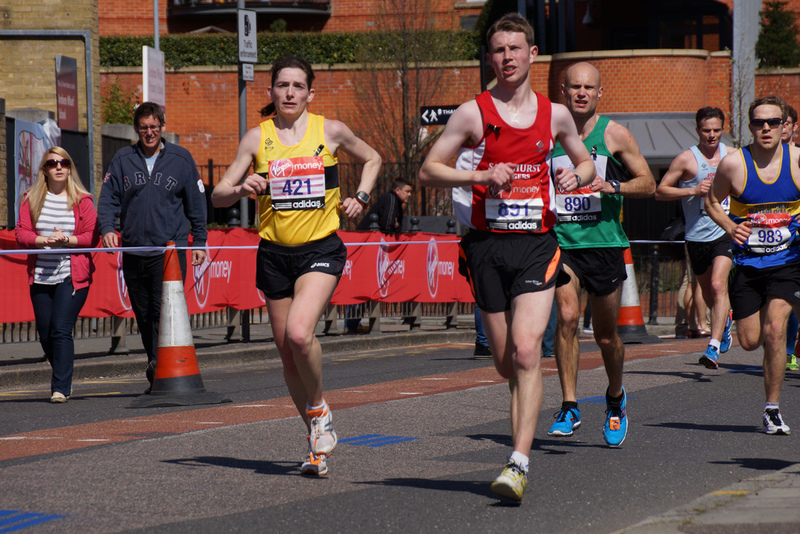 The race started in the market place and was very small in comparison to GNR last month. it was so cold that I waited until pretty much 8.25am before taking off my coat and joing the back of the crowd, before the starting shout out at 8.30am. Kingston Half Marathon is a lovely, totally flat route through Kingston town then along the river past Hampton Court Palace and back into Kingston – made so much better by the gorgeous Sunday morning weather as the sun shone. The Marshall’s were brilliant, lots of them and so supportive, as we’re all the bike riders, locals, tourists, shoppers and other runners. I was determined to get to 10 miles without stopping – which I did, then I put all my determination into not stopping at all for the last 3.1 miles – the first time I have ever done that – my fastest half this year too (not by much but hey – who’s counting?) At the end I was handed a carrier bag and was asked to fill it myself with goodies from all the tables, as well as my medal and tshirt. I can highly recommend this one, and could possibly be tempted to do it next year! !